Enhanced Capital Partners is a private equity company located in New Orleans, LA. Enhanced Capital Partners was founded in 1999 and has approximately $244 million in assets under management (AUM). The firm has 17 employees and specializes in Mezzanine. This email address is available! Download one of our lists to get over 30 categories of information on each company including company email, employment email, and emails for executive contacts. 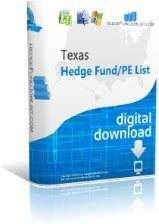 Not sure where to find the list containing this fund? Look below under the heading "Full Information" to view the lists containing information on this company. Looking for a private equity job? Our lists contain information on which companies are currently hiring. This private equity firm may be hiring. Download the appropriate list for more info.